We have been festivalling (not a word, but I’m going with it) with the kids since they were small. Feeling that a festival or two over the summer is an important part of their education as well as ours. It’s a chance to kick back, soak up some great music and learn new skills. 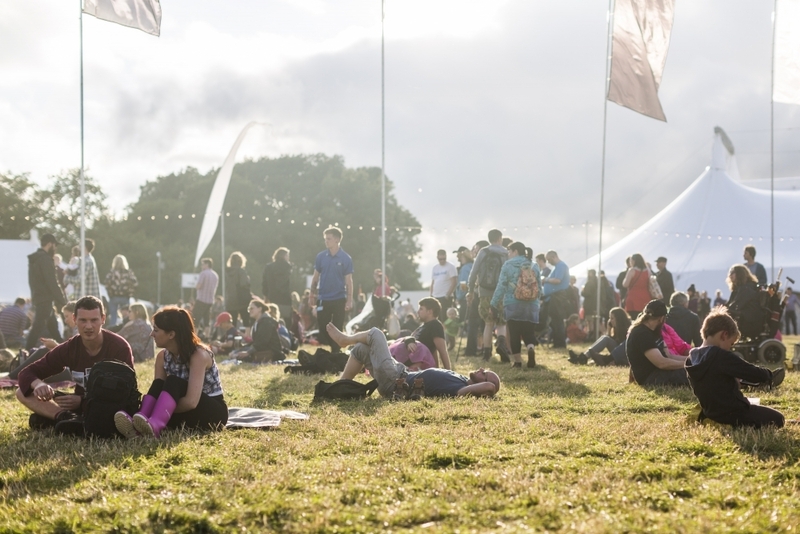 This year, we decided to look further afield than the usual kids style festivals, something a little different to broaden their teenage minds, and discovered Bluedot Festival. Bluedot is an intergalactic festival of music, science, arts, culture and the exploration of space. Perfect for my gang of budding scientists. 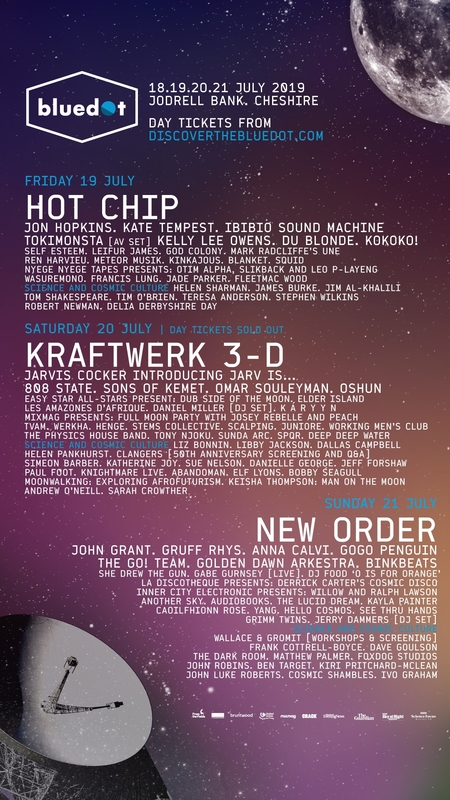 Bluedot now in it’s fourth year, and has raised the bar with the announcement of its vast science bill adding to an already impressive music line-up that features Hot Chip, Kraftwerk, Jarvis Cocker and New Order to name a few. 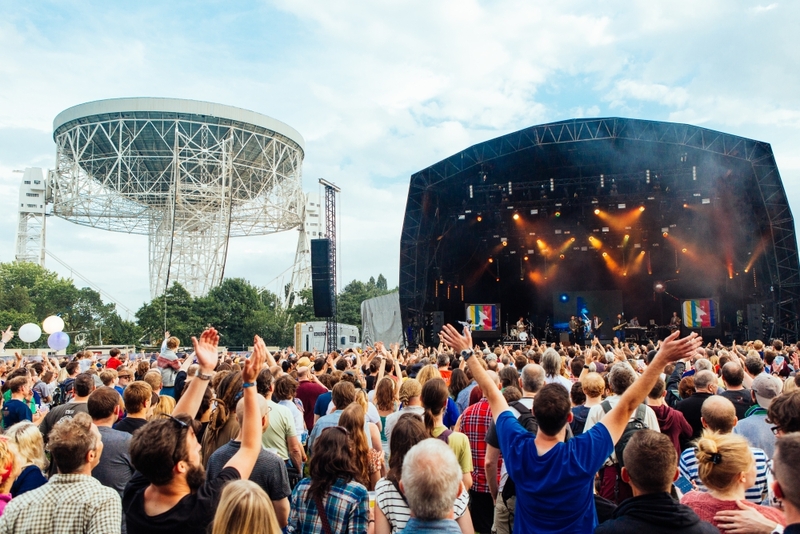 Set against a backdrop of the iconic Lovell Telescope at Jodrell Bank, Bluedot combines a truly stellar line-up of music with a ground-breaking programme of live science experiments, expert talks and immersive artworks. 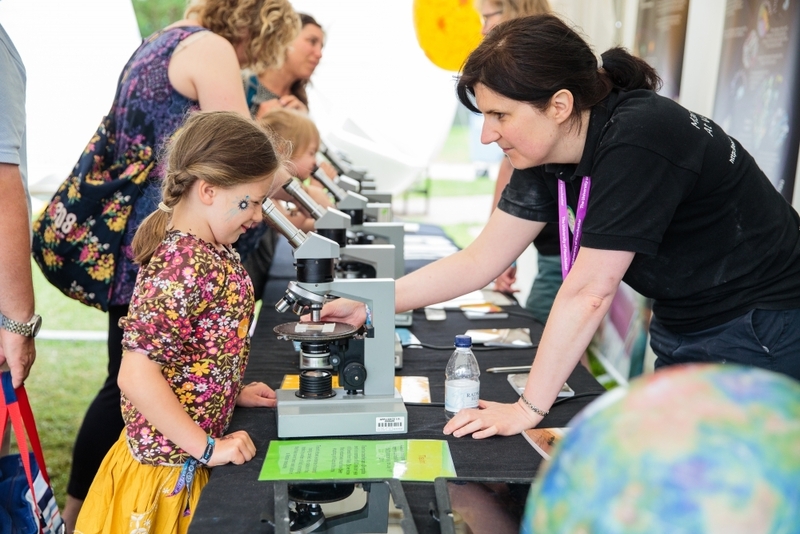 The festival promises a journey of scientific discovery through its acclaimed Dot Talks series, interactive family science shows and the return of the hands-on Star Field with its new off-shoot, the Planet Field. Experts in their field will explore fascinating topics including space travel, volcanoes, climate change, plastic problem, black holes, the search for extraterrestrial intelligence and more. 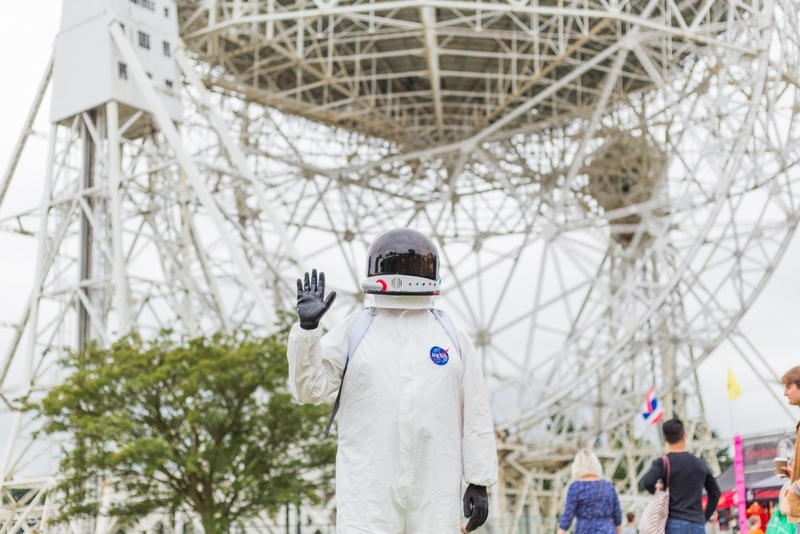 Bluedot 2019 promises another mind-expanding programme of talks and panel discussions with leading scholars from around the World. 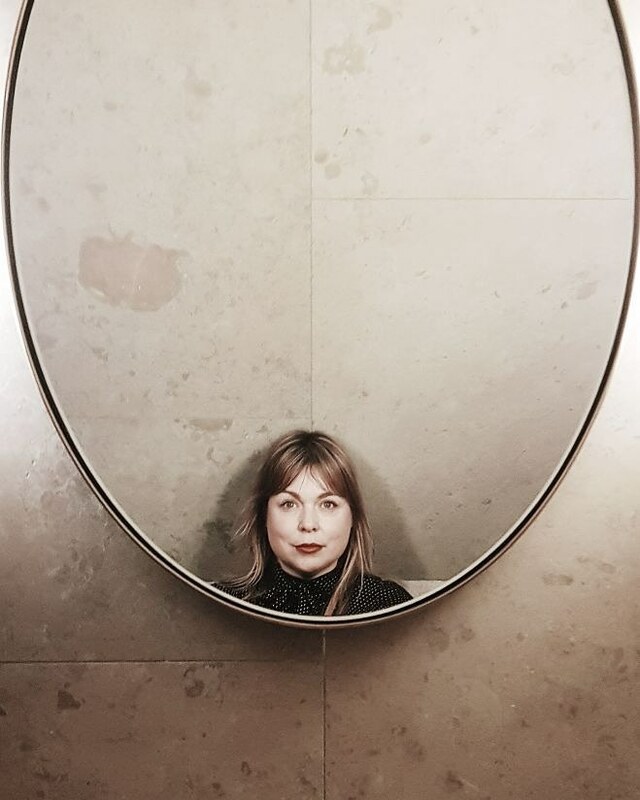 The DotTalks programme spans across the festival including in the Star Pavilion and Mission Control and will this year feature headline speakers including Liz Bonnin, Jim Al-Khalili, Tom Shakespeare, Helen Pankhurst, Libby Jackson, Sue Nelson and Dallas Campbell. On the 21st July 1969 humankind began a brand new chapter in the history of science and exploration as Neil Armstrong and Buzz Aldrin set foot on the Moon. 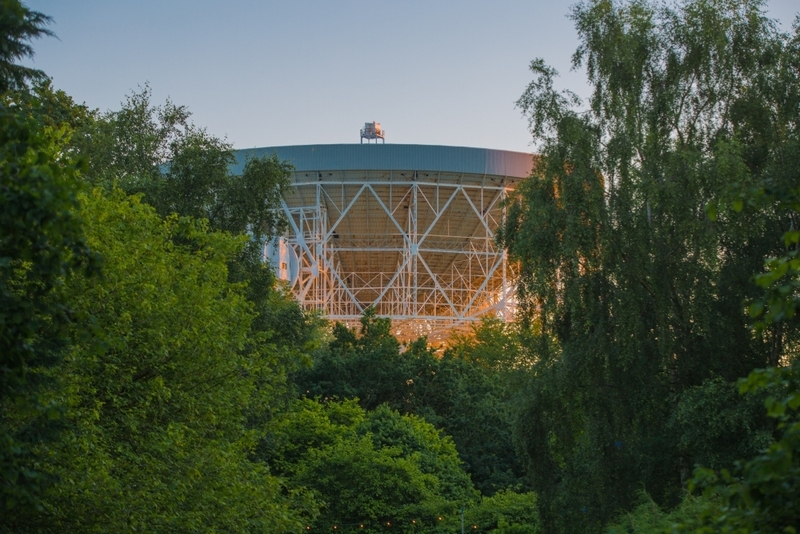 The iconic Jodrell Bank in Cheshire played a unique role in tracking the Eagle Lander onto the surface. To celebrate 50 years to the day, bluedot have an incredible Moon-themed line-up to mark one of the most momentous feats in the history of human endeavour. Throughout the weekend bluedot will relive the Apollo 11 mission in real time with The Moon Landing LIVE using archive audio and video. Festival goers will be able to follow along including all the key moments of entering lunar orbit, the Eagle landing on the Moon and Armstrong’s one small step. Plus all the usual things you might expect at a festival, good food, beer, music and fingers crossed for sunshine. Purchase tickets via their website. Collaboration Note: We are so excited to be family ambassadors for the BlueDot festival this year. We are given family tickets to the festival in return for a review. All words & opinion are always my own. 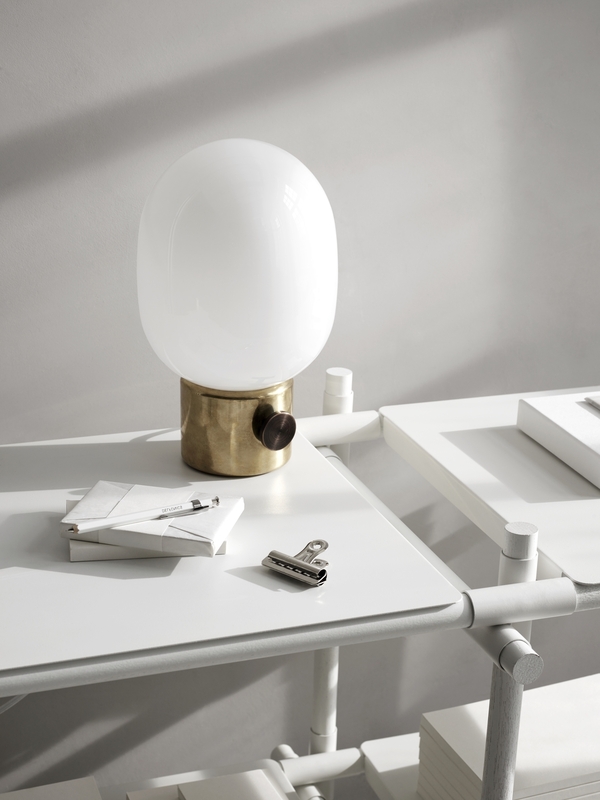 Images courtesy of Blue Dot. Lovell Telescope, my family would love this festival! Lovell ❤️ Very big… very clever. Lovell and camping in its shadow last year was magnificent.